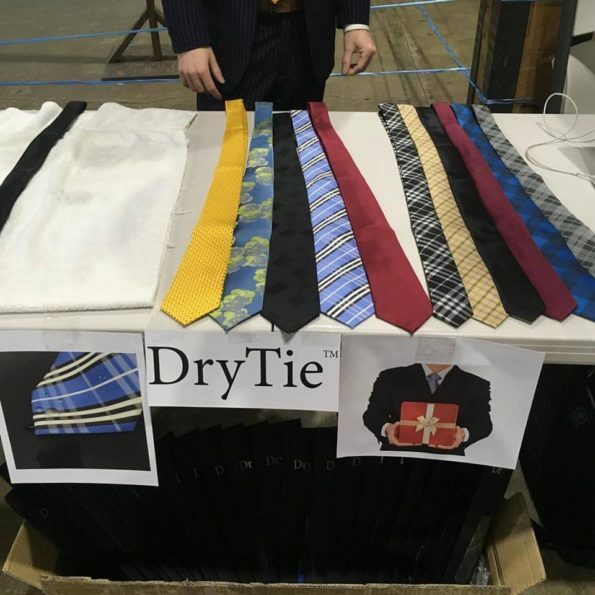 Introducing The DryTie, which is a unique Liquid Repellent Tie. It’s a super hydrophobic self cleaning tie that repels all liquids. It never needs cleaning because if you spill on it, everything will either roll off or you can rinse off under the sink. So now its a time for No more embarrassing moments, no more Stains, and no more Trips To The Dry Cleaners. Check them out now!